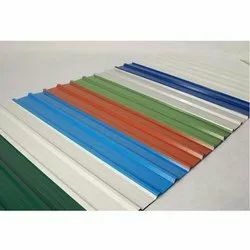 Hari Om Roofing Industries is one of the leading and the largest private sector producer of Roofing sheets in India. Set up as Hari Om Roofing Industries founded by chairman Mr H Harish. Available Color: Surfmist, Headland, Pale Eucalypt, Cottage Green, Aquamarine, Sky Blue, Torres Blue, Toba Blue, etc.